Windows serve as the elemental source of ventilation and passage of light for any room or building. When choosing the right kind of window, you should take into account both the style and the functionality. With the wide variety of styles and designs available, it’s not really difficult to choose the right replacement windows for your house. Let’s take a look at ten different types of replacement windows. This type of window is ideal for small spaces. With this design, both the lower and the upper half of the unit opens. With this design, only the bottom part of the window opens, whereas the top part remains fixed. Both single-hung and double-hung windows are popular in homes across the USA. 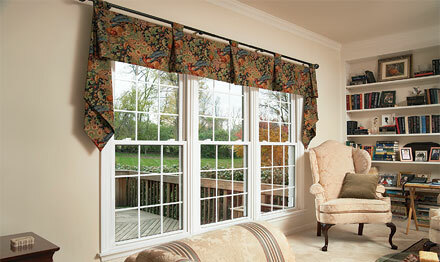 Bay windows look good in spacious living rooms and bedrooms and offer a good view of the outdoors. These are usually made with three panels, with the middle panel being the largest. Panels are set at different angles to each other, and protrude from the outside wall of the room. Then there are also bow windows, very similar in design to a bay window, but curved. Also known as louvered windows, these windows have clips and parallel glass slats. They open and close in a fashion similar to Venetian blinds. They can remain open during wet weather as the arrangement of the louvers keeps water from flowing into the room. Popular in places that have a tropical climate. These windows have a hinged sash that is cranked open like a door. The sash is either bottom-hung, top-hung or a combination of both. Casement windows are large. They are often installed in locations opening to wide spaces. They are particularly useful in letting in cross breeze. A type of casement window hung in a horizontal manner. This type of window opens outward like an awning. Smaller than casement windows, they are usually placed high on walls. As they project outwards, it’s best to install them in open spaces. This type of window is useful in letting in fresh air. Also often kept open during rains, as they keep the water from coming in. These windows are made of two panels fitted in one sash with some space between them for insulation and can slide horizontally. There are two types of slider windows – single slider, where only one panel slides, and double slider, where both panels can slide. These windows have hinges on the bottom and open inward from the top. Because of their unique design, these are suitable for basements. Opening the window inward prevents water from entering the room. They are also used in small places like bathrooms. These are usually large, fixed and do not open. They are used with the intention of giving onlookers an unobstructed view of the outdoors, like viewing a picture frame, and can be used in large rooms with a scenic outdoor. Storm windows are attached to the outside of a home. They protect the window from damage during hurricanes and rough weather. These can be temporary in nature. While not technically a “replacement” window, used to here to round out the list of ten. 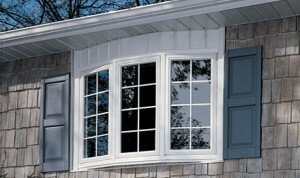 Replacement windows are commonly vinyl. Glass is available in different types, from tinted, to tempered and semitransparent. If you need replacement windows, make sure to carefully choose a company that sells quality products and offers good customer service. All images via Champion Windows. Althea Crowe has worked for 6 years as a real estate agent. Her interest in interior decoration and home improvement led her to pick up practical tips on home repairs and renovations. From replacement windows and doors to siding, roofing, landscaping, re-modeling patio rooms and sun rooms, Althea shares her knowledge through articles that she hopes will provide her readers with the information they’re looking for. Great post! Another fantastic way to update your windows is changing the sill and trims with plaster moulding. These can be custom-made to any style and can change the look of the interior or exterior of a home. 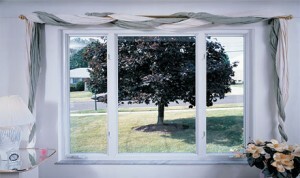 Indeed, replacement windows have value that adds up in ways other then energy savings. Come sale time, those dollars invested can have a substantial return. Thanks for this article. It’s good to know what type of windows you want to buy and what type are in your home to begin with. Windows are such an important part of any home! Thank you for letting people know what they are looking for is out there! SO MANY window styles! Whether you are sticking with what you have and just updating – Or completely revamping the type and style – Having a clear plan and vision is essential. It can make a HUGE difference!